I wouldn't be human if I wasn't a little sad this morning when I biked my last River Mountains Trail, an amazing paved 35-mile roller-coaster of a super-hilly trail that goes through Boulder City, Henderson and the Lake Mead National Rec Area. Four amazing people who happened to be my bicycle pals joined me on my swansong River Mountains loop -- fellow Brooklynite and super-veterinarian/sciences professor Scott Sofferman; Las Vegas Cyclery owner and America's most unique backpack-wearing bicyclist Jared Fisher; RTC bicycle coordinator, Elvis singer and Henderson man Ron Floth; and engineer triathlete Montana-ite Jennifer Turchin. You know it's hard to leave when a challenging ride like this goes so fast. Even cycling up "the Three Sisters" -- three super steep hills in a row around mile 16 -- didn't seem so bad. backgrounds yet here they were, sharing a ride on a gorgeous morning in southern Nevada. I love Jared and Scott for being the most prepared cyclists I know. Jared has the heaviest backpack in bicycling history, while Scott has his backpack and medical kit on hand with a few other goodies on his bicycle. As we approached the Railroad Pass Casino, we thought about cycling right onto a moving tourist train -- but Ron, always the safety man, thought the better of it. One final ride: Sunday morning at 8AM from Dunkin Donuts in Summerlin. I became a stronger, faster climber because of you. I just didn't know it. Mile by mile, you challenged me and thrilled me. Now I say adios my good scenic, paved friend. I'm down to a precious few days of bicycling in Las Vegas as the "Keep Pedaling" Farewell Vegas Tour winds down before I leave town with Pugsy the 17-year-old pug on Monday. 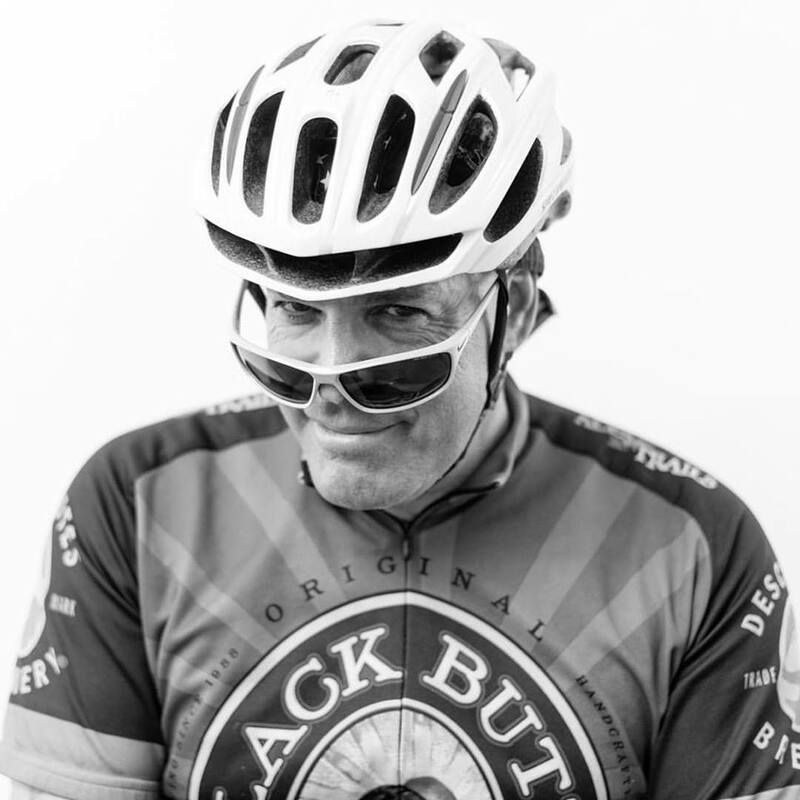 It's bittersweet to say adios to so many great friends and bicycle pals. 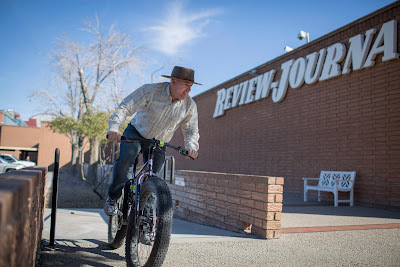 On Wednesday, with weekly Wed biking partner Jared doing business in Utah, it was Paul Doyle from the RJ and I for a Red Rock Canyon ride to Blue Diamond and back before we munched on eggs and bagels at The Element next to Jared's Las Vegas Cyclery store. The funny thing about cycling with Paul was that it was our first bike ride together even though I worked with Paul for more than three years at the RJ. 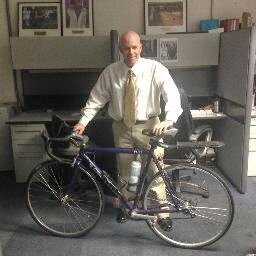 On my first day at the RJ in late November of 2012, someone in the newsroom heard I was a cyclist and that I should bike with Paul. Because of differing work schedules, we never did bike together until yesterday and I'm sorry we didn't bike more. Then this morning, it was off to my final ride in Valley of Fire State Park, a stunning 30-mile round trip with more than 3,000 feet of elevation gain. I deposited these amazing visual memories into my brain this morning. So, here are my three last day rides. Anyone who would like to do a casual road ride is welcome to join me. 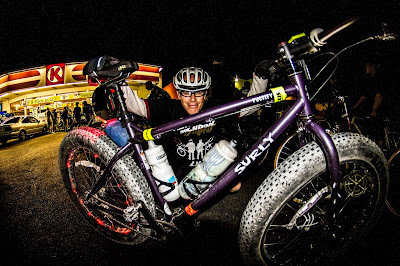 -- Friday Feb 26: Bike from Dunkin Donuts at 8AM to Calico Basin and Blue Diamond and back. Figure about two hours. -- Saturday Feb 27: Meet at the Lake Mead Railroad Trail parking lot at 8:30AM for a River Mountains Trail loop. Figure about three hours. -- Sunday Feb 28: Meet at Dunkin at 8AM for one final Red Rock Loop ride. About two hours. The fixie bikes were leaning against the curb in front of The Beat coffeehouse on East Fremont Street in downtown Las Vegas Monday night. The young bicyclists were waiting for brothers Erik and Marco, better known as Smash Broslv, who hold this weekly night ride every Monday. This particular Monday night was special -- the Smash Bros were doling out free T-shirts for their followers. They quickly gobbled up the black medium and large short-sleeve shirts, as Erik and Marco handed them out from the back of their car in front of The Beat. Thank you Jose Gonzalez for this terrific photo of the Pugsley I pedaled and the shirt. 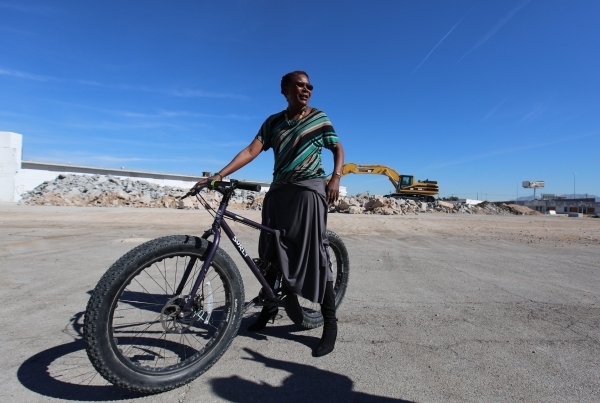 It's a slice of the Las Vegas bicycle scene you don't see much. Most Las Vegas cycling photos show Summerlin roadies hammering along State Road 159 with the famed Red Rock-striped mountains framing an inspiring backdrop. But these guys are fixies pedaling the urban streets of Las Vegas. Tonight's ride headed to Alta Drive, then west on Alta before the group headed south on Jones to Chinatown, with a return trip back to downtown Vegas. This was my last ride with these guys. 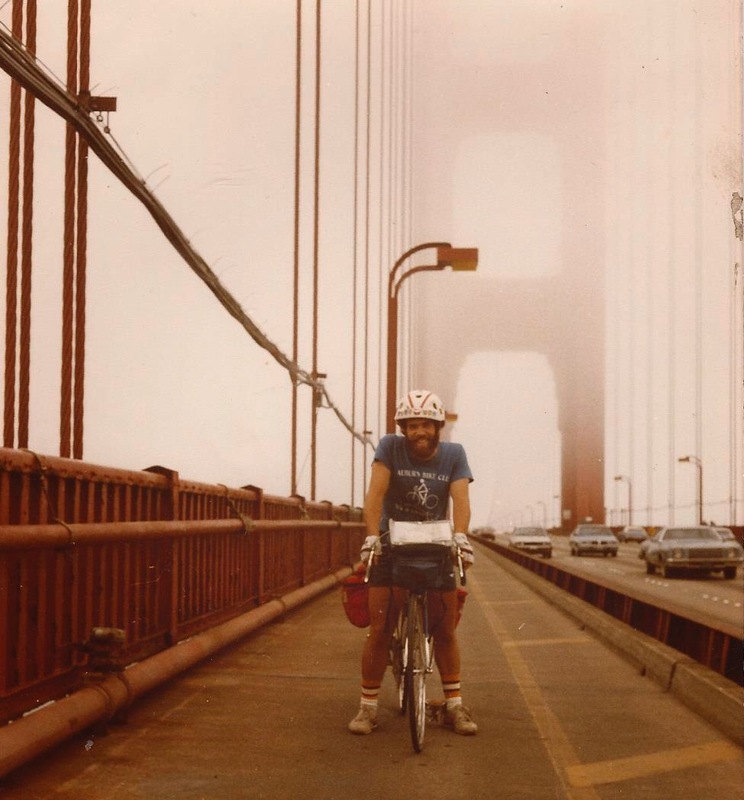 In late July, I wrote about this ride. There must have been about 40 bicyclists pedaling under a full moon. Kudos to Marco and Erik, for shepherding these young bucks on wheels through Las Vegas. 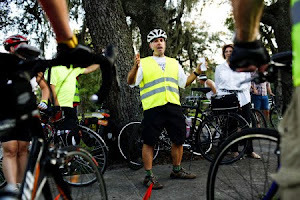 They provide a safe night-time ride event on a day of the week when most people are calling it quits early. It was great to ride with two bicycle pals -- Anthony and Ben -- on the Red Rock scenic drive. And, on a separate front, I got a kick out of seeing Katherine Duncan with my Surly Pugsley for my last story at the Las Vegas Review-Journal. Give up the anger, the hate, the grudges, the pettiness, the bitterness. Those feelings only take from your life; they never give. Not only appreciate and enjoy every moment, but celebrate life in everyday things. Such as riding a bicycle. On Saturday morning, I was cycling on SR 159 just out of town heading to the first hill in Red Rock Canyon when another bicyclist pedaled next to me. "Mind if I join you? Would you mind the company,?" the cyclist asked. Turned out his name was Greg, a retired doctor who moved here in April from New Mexico. He also practiced medicine in Wisconsin and Indiana. He was a tall, angular-shaped man in his mid-60s, short-cropped gray hair under a green helmet. He was riding a Specialized Roubaix, just like mine but only much bigger. I asked him how his week went. "I can hardly get this out," he told me. His wife suffered a nearly-fatal cardiac aortic problem. But she was resting after several surgeries. They have three grown daughters, including one who lives near them in Summerlin. Greg also also shared a fun story. 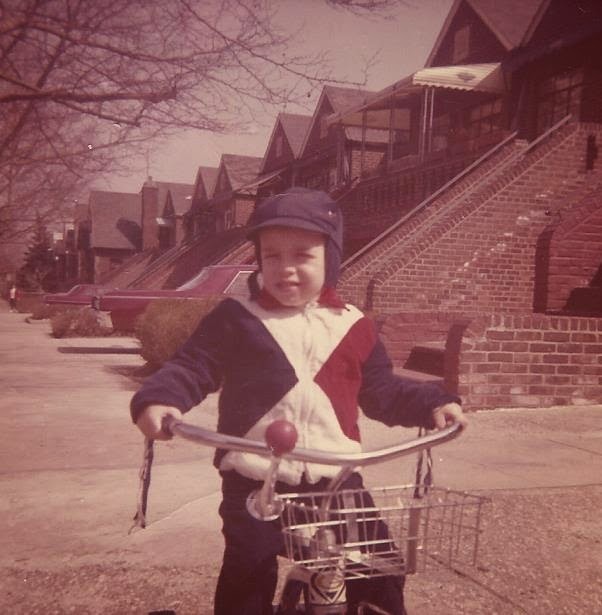 He was a little kid in Bloomington, Indiana where his family lived in a house in 1959 that would later be the house used in the 1979 classic Bloomington-based award-winning bicycle movie, Breaking Away. The house was used as the movie setting for the home of Dave Stoller -- and I wrote about this movie during a special Interbike reunion in September. We pedaled together for the next five miles to the Red Rock scenic overlook and I wished him well and his wife a speedy recovery. Be happy you have health and life. After bicycling 69 miles, my friend Jared and I were famished as we pulled into a Maverick convenience store on Fort Apache Avenue in the western suburban wasteland of Las Vegas. We wolfed down halves of a Roberto's chicken burrito that Jared had packed and joked with Andre the store clerk who couldn't be happier to play host to some guests. When it's 3:45 a.m. and you see two cheery bicyclists enter the store instead of buzzed or drunk early-morning partiers in search of munchies, you're a happy store clerk. Pulling a cycling all-nighter under the cloak of darkness is not for everyone. But if it's done right -- the right streets and trails, the right lights and reflector equipment -- it's not only perfectly safe but downright exhilarating to bike at night. Or more specifically, in the very early morning. Jared is my fellow crazy bike route crafter, concocting amazing routes that defy conventional wisdom but work in practice. He quilted together a stunning string of wide, well-lit boulevards and regional trails that were a pleasure to bike on. The kicker -- the ride started from his home in Blue Diamond outside Las Vegas at 10 p.m. and we biked through midnight and the early-morning hours. I got home at 4:45 a.m. after 80 miles, while Jared finished up his century and got home closer to 6 a.m. I'm sure the average bicyclist thinks biking at those hours is a ticket to getting crushed by cars. But we bicycled in the suburbs of the south Vegas area, Henderson and Summerlin and the fact is they don't call these places bedroom communities for nothing. There were very few cars on the roads, which were super wide and very well lit for many of the miles. In fact, because the city of Henderson has built so many trails, we probably biked 25 miles or so of the route on trails. Most of the trails were also well-lit. 2. Nobody will see you on the road because it's so dark. In fact, visibility was excellent. The clarity was wonderful. Jared and I biked under a clear, star-filled sky and near full moon and the lighting on many of the roads was excellent. The expensive suburbs of Southern Highlands and Summerlin like their street lights. There were very few sections when it was pitch black and we couldn't actually see the road surface. Biking at night creates defined images of light and darkness and I found the contrasts made for an easy bike experience compared to biking in the middle of the day when it's very bright out and glare will sometimes muddy the surroundings. 3. Weather conditions will be rough. So not true. Actually, biking at night provides cooler relief. In my bike settings of Las Vegas and Florida, biking at night can be a tremendous haven from the intense heat during the daylight hours in the summer. This was not an issue when biking in February in Las Vegas but it will be in June. Jared and I biked with temperatures from the mid 40s to 52 degrees in Henderson. 4. Boring at night will be boring. One of the inspiring views was cycling on a segment of the River Mountains Trail in Henderson and looking down on the sea of lights in the valley at 1:45 a.m. Seeing roads, neighborhoods, trails and mountains at night provides a whole new insight to understanding those things. Jared's wife, Heather, also biked with us for the first two hours, before one of their kids drove and picked her up at a Jack in the Box off 215 in Henderson. We met the funniest store clerk at Maverick, where Andre invited me in to re-heat a burrito in the store's microwave. He proceeded to show me on his iPad his daughter receiving an award and joined Jared and I for a selfie. He wished us well. But the time I rolled in at 4:45 a.m., Pugsy my dog was ready for a walk and breakfast. There's nothing like biking into the sunset like actually biking from an old job. 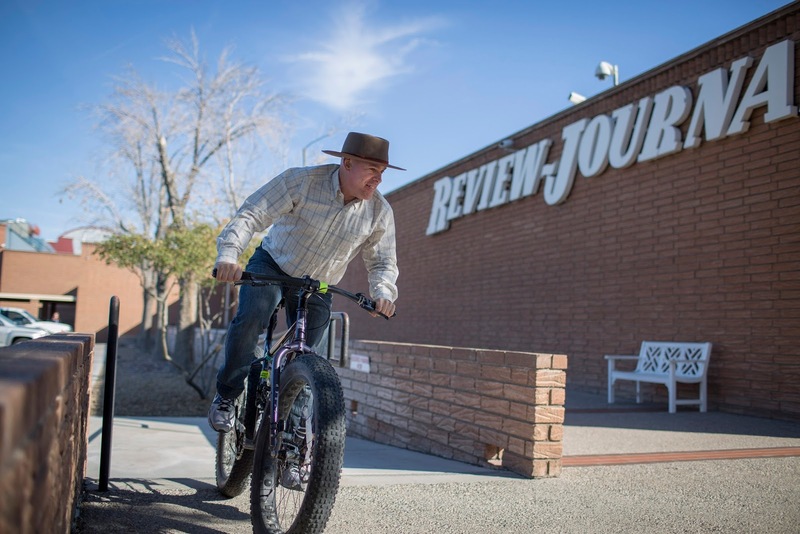 The Review-Journal newspaper, which was bought by billionaire casino tycoon Sheldon Adelson, is in the rear-view mirror. And thank you Jim Wright, Kevin Cannon, Paul Doyle and Brett LeBlanc for the goodbye page -- a proud newspaper tradition. In my best moments of clarity, I acknowledge that this dog (the critter on the left), doesn't have too much pug life left on earth. I believe she's more than 16 years old. so you don't have to tell me she's living on borrowed time. But every day, Pugsy wakes up, gives a round of snorts, rubs her nose into anything that will squeeze out the mucous in her sniffer and gives me the "where-is-my-grub" look on her face. This morning Jared and I biked backed to my apartment, where I swapped my road bike for the Surly Pugsley (not to be confused with Pugsy). Uncle Jared gave Pugsy one final High 5 before we pedaled away for some fattie-tire dirt riding on the Bear's Best trails near his Las Vegas Cyclery bike shop. Pugsy and Jared are a lot alike in this regard -- they live their lives as full as they can every day. Pugsy's hips don't allow her to cover distances anymore. But she lives her life as much as one can expect a dog from a dog that has experienced 16 laps around the sun in her life. She actually shows quite a bit of life first thing in the morning, which is probably more than what we can say for most of us. And she gets around where she needs to go to be happy in life. This is where Jared goes when he wants to be happy -- the high desert outside Vegas. 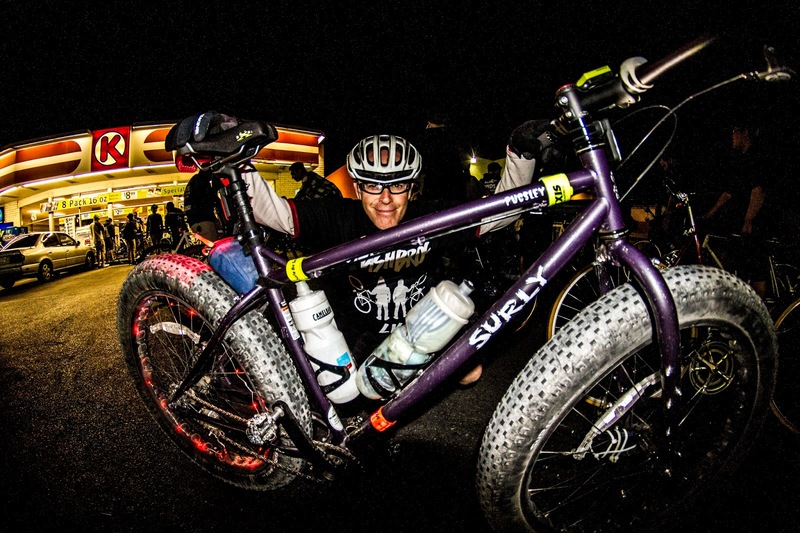 We compared our purple fattie mountain bikes -- Deep Purple on Neon Purple. Katherine Duncan's dream of reviving the Moulin Rouge casino-hotel after it closed 60 years ago includes one element: making it a pit stop along the Pioneer Trail. The Moulin Rouge was America's first racially integrated casino-hotel when it opened in May 1955 before it closed only six months later never to re-open. The redevelopment schemes have come and gone through the decades. But Project Neon highway construction debris are coming every day via trailer truck and the chunks of pavement are being recycled as Duncan tries to attract feasible investors to redevelop the 15-acre site on the industrial outskirts of downtown Las Vegas at the city's historic west side. Katherine took one look at my Surly Pugsley and said she would be happy to pedal it around the grim site of boarded up buildings and mounds of concrete debris. It didn't matter she was 60 years old or wearing high heels. 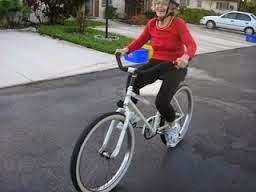 She still pedaled the SPD pedals and enjoyed the ride. "It made me feel like a kid again," Katherine said. " Everyone needs to feel that way at 60." I told Katherine that I once had a dream that the former Moulin Rouge would be rebuilt into a bicycle park and she couldn't believe it. I hope she contacts Ron Floth at the RTC, where Ron works as the transportation agency's bicycle community outreach director. A day after Bicycle Stories reported on the washboard, unpaved bridge surface and road surface at the Red Rock Scenic Drive, the road this morning sports a new layer of pavement. It was smooth sailing this morning on the scenic loop, as Bicycle Stories' special "Crotch Cam" documents a newly=paved road just after the second bridge work. Over at the first bridge at Mile 3, the road was also repaved. The Red Rock Scenic Drive, a 13-mile band of pavement into the foothills of the Spring Mountains, is scarred by some messy road construction. Namely, the dicey work at two bridges near Miles 3 and 11. Road contractor Wadley Construction Inc. applied the new road surface at the bridge areas at the wrong temperature, so Wadley had to rip up the newly-minted pavement. So what's left is a nasty and bumpy washboard surface that is dangerous for road cyclists. 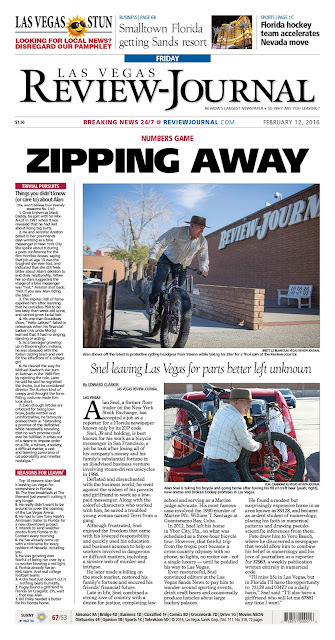 For previous Bicycle Stories coverage of the contractor's pitiful performance on the scenic drive, click here.